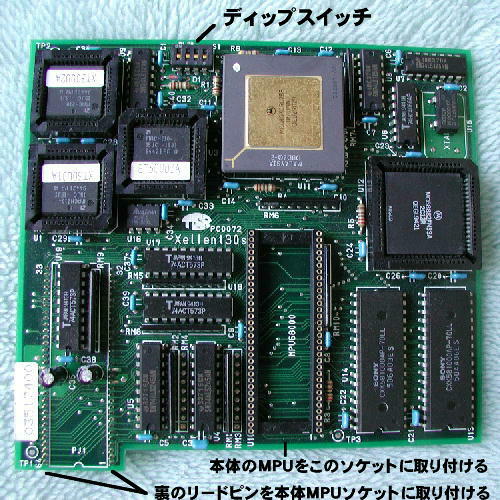 Xellent30 is a CPU accelerator board for the X68000 series and was manufactured and sold by Tokyo Systems Research Co. Ltd. from 1995. It is equipped with a MC68EC030 CPU at 25MHz and 68882 FPU at 33MHz. This product is intended to have similar speed of X68030 and is available for the following systems. Everything that can be seen in the previous pictures. Select the Xellent30s I/O port address by using DIP switches. Address space from $EC0000 to $ECFFFF can be used. Please select address that you are not using. 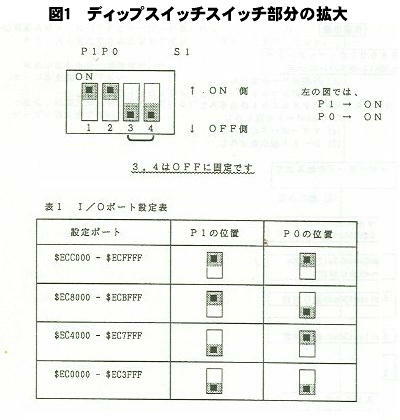 The DIP switch settings were taken from Xellent30s manual by Tokyo Systems Research Co. Ltd. 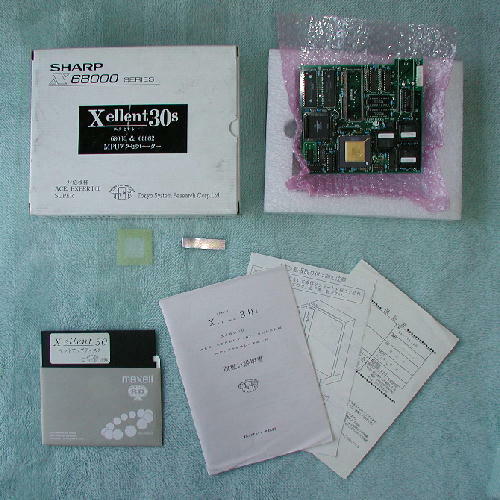 The X68000 motherboard is covered with EMI shielding plate, therefore the mounting of Xellent30s must be done carefully as instructed in the following instructions. After the installation, check if the Xellent30s is working. Use only minimal configuration for testing which consists of RGB monitor and a keyboard. Switch on the X68000 only after making sure that Xellent30s is firmly attached to the CPU socket on the motherboard. If the system does not start or behaves abnormally, switch it off imediately and test its all functions. After confirming that the system starts, boot Human68kVer3.0 from the included setup disk and execute “chk_xel.x”. The “CHK_XEL.X” is a self-diagnostic program which will verify the operation of 68EC030. Please follow the instructions on the display screen. 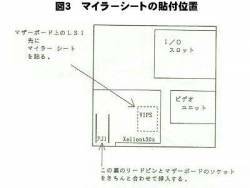 By default the Xellent30s will start in 68000 mode when the X68000 is switched on and you will need a driver to use it in MC68030 mode. A program which allows the user to easily select whether to start in either MC68000 or MC68030 mode has been included in the setup disk. The CPU boot selection menu can be installed in SRAM by using the following procedure. 1) ch30inst.x and ch30.sys must be in the current directory. 2) Type ch30inst and [Enter]. This will install ch30.sys to SRAM. If will not install if SRAM does not have enought free space. In that case, please delete the program that is resident in SRAM. 3) The CPU boot selection menu is now installed to SRAM. You can use the numeric keys or cursor keys to select the CPU which you wish to boot. 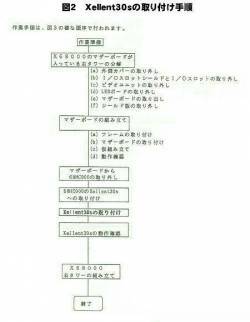 Copy ch30_omake.sys to the current directory. Change the first line if you are not booting from SCSI0. [XF1] …. Switch MPU using the selection menu. [SPACE] … Same as above. [XF4] …. Temporarily turn off the MPU cache of 68030. [XF5] …. Display SCSI boot ID (+ extra options) selection menu. [ESC] …. Temporarily boots as STD. [HELP] …. Boots with HD Start Partition Selection Menu (IPL MENU).